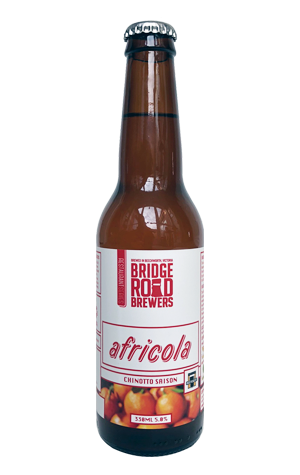 For the third release in its Restaurant Series of collabs, Bridge Road Brewers technically collaborated with the team at Adelaide's Africola. But they managed to enlist the help of a restaurant rather closer to home too, obtaining chinotto fruit from Michael Ryan at Beechworth restaurant Provenance. The citrus was added to a Belgian saison base with the aim of creating something to match the Adelaide venue's South African BBQ style cuisine. What you get is a pale gold pour, unlike the soft drinks produced with chinotto with an intense, almost perfume like and fortified chinotto character dominating. It's soft on the palate, where the bolder citrus flavours mix with soft spices and lighter, lemon like flavours. The finish is more clean than dry with a touch of residual sweetness in what's an eminently drinkable drop.